Selling apparel online is a great business niche and can be an amazing source of profit for cross-border ecommerce. Fashion products are always in demand across the globe, but knowing where to target them can make a huge difference for you. Buyers are eager and willing to go that extra mile to be fashionable. Those from emerging countries are especially interested in getting on with the latest trends and they know that the best way to access them is through international ecommerce stores. Hand-in-hand with the online movement, many fashion companies are experiencing a decline in brick-and-mortar traffic. Mainstream consumers are adopting digital options and online sales of apparel are projected to grow rapidly in 2018 and in the coming years, meaning that ecommerce is no longer a “shopping alternative” but a main source for purchasing goods for a large portion of the population. Millennials and gen-xers are spending more than 3 hours each day connected online. From social media to video streaming and shopping, the number of hours can be twice as longer in areas like the Asia-Pacific – and that has a big and direct impact on online sales. Purchase decisions are influenced by peer reviews, influencer marketing and and social media. Alongside, digital-first ecommerce companies like Amazon, Alibaba and Net-a-Porter continue to raise the bar, aiming to provide a premium customer service from beginning to end. The reason is because consumers expect easy functionality, excellent support, simple payment options and fast delivery. 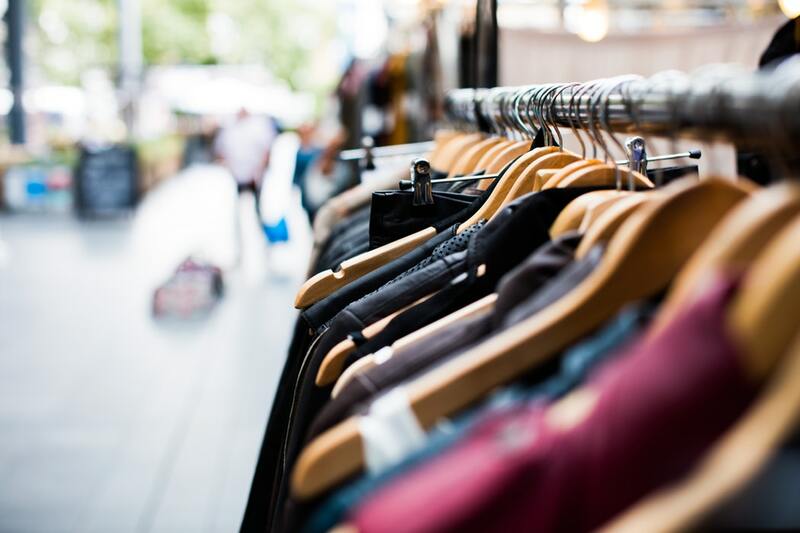 There is an overall sense of optimism about the apparel industry’s outlook in 2018, as consumers are adopting technology, and value and discount segments pick up to speed. Affordable luxury is also accelerating alongside absolute luxury, so there is room for growth in all areas. According to Business of Fashion, in 2018, for the first time, more than half of apparel sales will originate outside of the North America and Europe, as the main sources of growth are emerging market countries across Asia-Pacific, Latin America and other regions. Which emergent markets should you expand to? A massive wave of urbanization is propelling growth across the emerging countries around world, which is shifting the the global economy from the North (USA and Europe) to the South (Latin American and East (China) at an impressive speed and scale. Still, not many global entrepreneurs and market leaders are focusing on these areas. Not a very good idea when you consider that together they will comprehend more than 4 billion inhabitants by 2025. While China represents a big share of the global business, the Chinese ecommerce market is included in it own protectionist ecosystem, making penetration harder for cross-border ecommerce stores. For that and many other reasons, in this article we are focusing specially on Latin America. Latin America is a region with over 30 countries and a population of over 600 million people. With a booming economy, its biggest countries are the home of over 200 million people, while the smallest one has 3 million inhabitants. The region o”megacities”, but these middle-tier urban areas should be high on the priority list of international executives, as they have a fast growth, large populations of young people interested in fashion and apparel, and a vibrant base of consumers, according to McKinsey & Company. A good idea is to target your marketing efforts in these regions using geolocation ads. Exclusivity: Consumers want to buy goods aren’t for sale on their countries. Novelty: Shoppers are looking for products that they see on fashion magazines and social media but haven’t reached their domestic countries just yet – especially from luxury brands. Higher quality: There is a perception, often times accurate, that imported goods are made from better materials and will last longer. Be aware that this is not limited to luxury brands. Lower Prices: International products, when imported by local companies, can be much more expensive. So even when buyers have to wait longer, pay for shipping, and deal with financial transaction taxes (especially when it comes to Brazilian consumers), the cost of buying apparel online is cheaper and worthwhile. 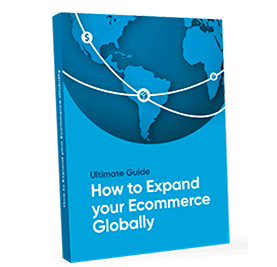 If you’re in the online apparel business, there are a few things worth noting if you want to expand cross-border. There is a growth shift from West to South and East, which makes it a good time to invest in emerging countries, especially those in Latin America. It is good to keep an eye out on emerging-market cities and target your marketing accordingly, because that’s where the tech-savvy, trend-following youth is, and the money as well. These cities are well populated, urban and fastly growing, which is a great formula for a thriving business. No matter what segment you’re exploring, the apparel and fashion industry are optimistic. From discount products to luxury goods, the segments are thriving and it is up to you to know how to market your products and where to sell them. Consumers are more connected than ever and they are in control. They have an infinity of options and expect convenience, quality, newness and good prices. They also want good customer service and functional platforms. Local payment options are of extreme importance: besides being a way of offering an extra form of quality customer service, they are also a way to penetrate a market and to speak your consumers’ language. The more familiar they are with the payment methods, the more likely they are to go through with the purchase all the way to the end. The opportunities to truly connect with fashion consumers around the globe have never been greater, it is a matter of paying attention. *This article was written by Marcela Xavier, a Brazilian journalist and freelance writer based in Paris. She works in fashion and has covered a wide range of topics, such as culture, politics, social movements and the cannabis industry.